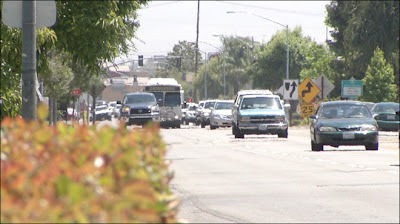 * ... 24th STREET: I attended the public hearing on the proposed widening of 24th Street and got an earful from the red shirted opponents of the project. These folks prefer the "no build" option, arguing that widening 24th will divide the neighborhoods on each side of street and drive down property values. But aren't the neighborhoods already divided, and is doing nothing really an option? Here's an interesting compromise I picked up at the meeting: adopt the alternative to take a row of houses on the north side, but instead of leaving a center turn lane (turning against traffic on 24th is already a suicide mission at best) install a landscaped median with bike lanes in each direction. That way you end up with six lanes of traffic that looks more like Old River Road than Ashe Road. 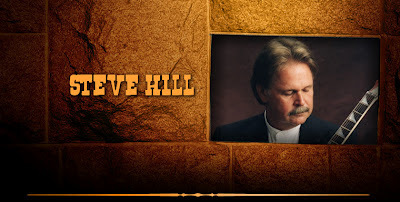 * ... STEVE HILL: The Desert Rose Band, featuring Chris Hillman and Herb Pederson, played at the Crystal Palace this week and I left promising myself I'd spend more time at this terrific local musical venue. 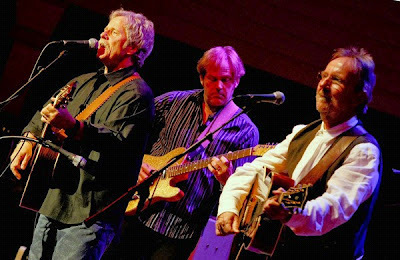 Hillman was a founding member of the Byrds and The Flying Burrito Brothers, and in the audience was Steve Hill, a little known songwriter who co-wrote with Hillman hits like "I Still Believe in You," "Summer Wind" and"Start all Over Again." 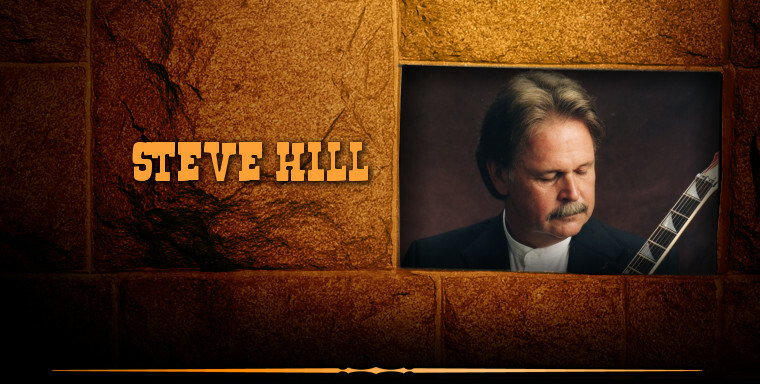 I chatted briefly with Hill, an accomplished fiddle and violin player, who told me he now lives in Lebec and is still writing music. * ... USED CARS: If you are holding onto a good used car and have been thinking about buying new, now is the time to do it. 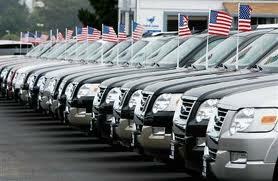 Quality used cars are scarce, and auto dealers are offering killer trade in deals to lure new car buyers. Two friends told me they bought new when two separate dealers offered to pay off their existing leases just to get their business. Dan Hay, general manager over at Jim Burke Ford, told me that "good, clean used cars at any price are at a premium right now and will continue so into the foreseeable future. It really doesn’t matter the price range; good used cars bring all the money and we not only buy them but give top dollar as a trade." * ... MORE CARS: Meanwhile over at Motor City, general manager John Pitre said trucks are still king in Kern County. "We are buying 2004 to 2011 trucks from private parties and our client base at very competitive prices because we have buyers waiting. Our internet sales have reached new highs and we are selling cars all over the world... just exported several to Russia, the Middle East and even Mongolia. We have such great offers on new vehicles due to manufacturer incentives that the spread from used to new has never been so close, thus people can move up to a new 2012 GMC or Buick and after their trade in - there is very little difference due. 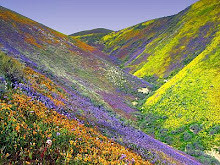 Kern County is leading the recovery in California and we are at the epicenter." *... BELTER: I caught up with young Mallory Belter this past weekend when we ran into each other at a wedding in La Jolla. The daughter of Gary and Bettina Belter, the 22-year-old Mallory just graduated from the Fashion Institute of Design and Merchandising in Los Angeles and is now working as a wardrobe stylist. She's landed her first client and is living in Los Angeles. Good to see these local kids thriving. 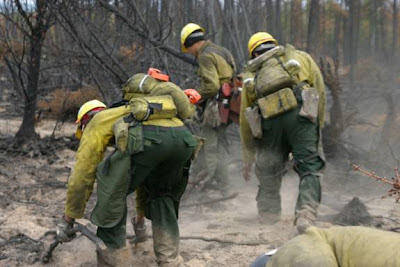 * ... MEA CULPA: I goofed in an earlier blog when I wrote about Mark Parsons, who is working with the Red Cross in the Colorado fires. Ann Danforth is his sister, not his mother. * ... WENDY: The celebration of life for Wendy Wayne, who died last week after a long battle with non-Hodgins lymphoma, is set for Saturday, July 7, at the Fox Theater. That's the word from Wendy's husband Gene Tackett, who told me the event will take place at 2 p.m. at the historic downtown venue. More exciting news is that Gene and CSUB President Horace Mitchell are working on a plan to create nursing school scholarships in Wendy's name, and possibly even renaming the nursing school the "Wendy Wayne Department of Nursing" at CSUB. 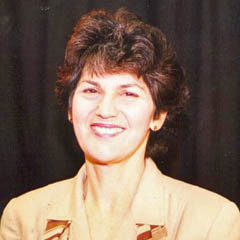 In 1978 Wendy earned a degree in nursing from CSUB and was later inducted into the university's Alumni Hall of Fame. More on this as it develops but I could not think of a finer tribute to a woman who meant so much to our community. * ... FIRES: Mark Parsons is a graduate of both Bakersfield High School and Bakersfield College and is now one of the hundreds of volunteers fighting the devastating wildfires in northern Colorado. His mother, Ann Danforth, said Mark has been working disaster relief operations for the Red Cross since Hurricane Katrina in 2005. He and his wife, Sue, live less than 45 miles from the fire. 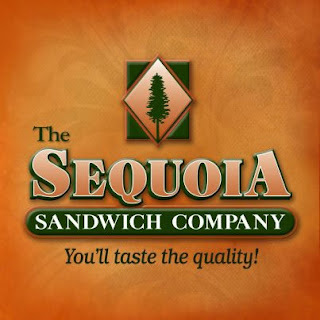 * ... BIRTHDAY: Happy 50th birthday to Gary Blackburn, one of the owners of Sequoia Sandwich Co. Hard to believe Sequoia opened its first branch in Bakersfield back in 1999. Blackburn and co-owner Jeff Simpson now have three Bakersfield locations and one in Clovis. * ... HOTEL LEBEC: Jo Ann Scroggins wrote to thank me for my recent postings on the old Hotel Lebec, which allowed her to delve a bit into her own family history with a connection to the Lebec. "My great grand aunt, Cowee Erskine, married Thomas O'Brien in 1911. Thanks to your blog, I now know how my great grand aunt met her husband! Cowee (Anna Cowee Erskine) had a successful singing career which I am just starting to research." Red hot topic of widening 24th Street will be the topic of Californian Radio KERN 1180 on Monday at 9 a.m.
* ... DOWN UNDER: Hats off to two North High graduates who will be traveling to Australia with Down Under Sports to play basketball this summer. MacKenzie Odle and Brodie Smih will be making the trip and are now raising money to pay for it. Karen Odle, MacKenzie's proud mom, said her daughter has been successful in raising money by "flocking" people's yards with pink flamingos. The problem: some of the flamingos are stolen out of the yards and MacKenzie has had to replace them. "It is hard to raise money when people steal your flocks and you have to replace them. She has lost three flocks of 12 birds since starting this fund raiser .... If you could help get the word about about not stealing the flocks that would be great." Good luck to both these North High Stars. * ... SPOTTED: A woman emerges from an Albertson's with a deli sandwich and a small bag of dog food for a homeless man and his mutt. * ... POKER: For the past eight years a group of local guys have gotten together for a little friendly poker, and now comes word that two of them are heading off to play in the World Series of Poker July 3-4 in Las Vegas. According to Jeff Adams, Tyler Palmer and Johnny Iturriria will be playing for a World Series of Poker bracelet and possibly $600,000 in cash. "The strange this about this is that Tyler and Johnny are probably the worst players in our group, but let's wish them lucky anyway," said Adams, perhaps not too seriously. The members of the Thursday night poker group include Steve Donovan (DONO), Steve Adams (ROCKET), Ken Chapman (CHAPPY), Tyler Palmer (TAMY), Jeff Adams (JA), Johnny Iturriria (JI), John Kadel (KADELIAN), Brian Foster (BETOFOSTER), Dave Berkshire (DAVEY B) Andy Sweeney (STICK) and Chris Bellue (DANGERBOY). * ... DID YOU KNOW? Did you know that Flickinger's Farm and Garden store once stood where the Bank of America building now stands at the corner of 17th and Chester? That's according to Wil and Joan Flickinger, who told me his grandfather, M.P. Flickinger, arrived here around 1900 and brought a long numerous relatives. 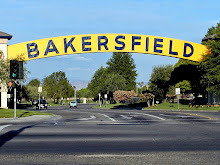 "The property was actually owned by the Kern County Land Company, once the largest land company in the world. They begged my grandfather to buy it on his own terms, but he felt downtown was getting too congested. By 1922, he opted to build his own building out on 18th and O Street. My grandmother cried because she felt people 'would never find him way out in the country there.' 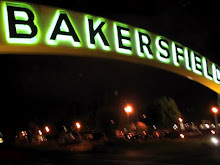 He had one of the first telephones in Bakersfield with the number of Phone 100. 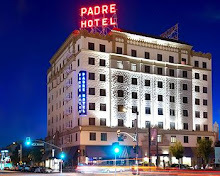 The Chester Avenue building eventually was replaced by a Standard Service Station that my wife's father, Lloyd Potter, ran at one time, and part of the wood yard was replaced by the El Tejon Hotel."